James Wilson arrived in India in 1859 as the first Finance Member of the Viceregal Council, entrusted with the job to establish a tax structure, paper currency and generally improve the fiscal health of the country, which went nearly bankrupt as a result of the Great Revolt of 1857. Wilson, who died of dysentery within a year, was the man responsible for introduction of income tax in India. As Kautilya reminded us, taxation and warfare has a very close relation, income tax or rather the introduction of income tax is closely related to warfare – it was introduced in the UK in 1799 for the first time to fight Napoleonic wars. The word Budget itself originated from French Bougette, meaning purse or leather bag – till date our finance ministers invariably pose with a briefcase on their way to budget presentation. 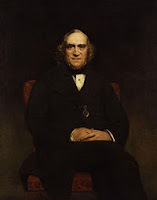 Since Wilson, successive Finance Members of the Viceroy’s Council were responsible for presenting the annual financial statement of the government, till the role was taken over by an elected Finance Minister. 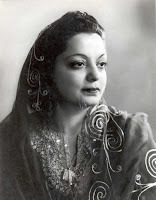 Many believe that it was the (in)famous budget of Liaquat Ali Khan, Muslim League leader and Finance Minister in the Interim Government of 1946, which led the Congress leadership to make up their mind for the Partition. Khan proposed 25% tax on business profits over one lakh, introduced capital gains and proposed a commission to unearth tax evasion. All these scared the top industrialists of the country, most of whom were Congress fund raisers like G D Birla, Jamnalal Bajaj. This budget, however, is hailed in Pakistani nationalist history as Khan’s great Poor Man’s Budget. It was also the daily difficulties in dealing with Liaquat Ali Khan’s strict expenditure control – Patel quipped that he could not even appoint a Peon due to Khan’s objections – that drove Congress leaders to exasperation. Khan, who was born in a royal family in Karnal, Haryana and fought election from Western UP, went on to become Pakistan’s first Prime Minister and was assassinated at the same ground, where Benazir Bhutto was killed in 2007. 1947 budget was largely drafted in his mansion in New Delhi’s Tilak Marg, which is today the official residence of the Pakistani High Commissioner, though it is not known to what extent it was influenced by his wife, Gul-e- Rana, who used to teach economics at IP College. 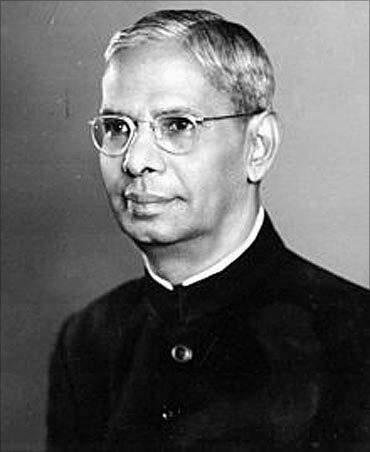 After Independence, Nehru chose R K Shanmukham Chetty as the first Finance Minister for his expertise on the subject. It was a controversial choice as Chetty was known to be pro-British in his political outlook. Chetty had to quit soon as there were allegations that he was favouring certain mills of Coimbatore. 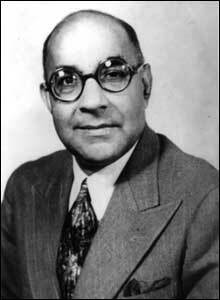 On his departure, John Mathai, who had to vacate the post earlier to Liaquat Ali Khan in the Interim government, was brought back. From Chetty to Chidambaram, India had a total of 25 individuals as the country’s Finance Ministers so far. In a rare coincidence, both the present President and Prime Minister are former Finance Ministers of the country. In 66 years of independent India, actually more than 80 budgets, including interim budgets have been presented. Morarji Desai presented the highest number of budget – 10 altogether. Three sitting Prime Ministers – all from the same family – Nehru, Indira Gandhi and Rajiv Gandhi – have presented Union Budget in the Lok Sabha. Two Finance Ministers have become President so far – R Venkataraman and Pranab Mukherjee. Four Finance Ministers have gone on to become Prime Ministers till date – Morarji Desai, Charan Singh, V P Singh and Manmohan Singh. The only lady to hold the post till date was Indira Gandhi, who was her own Finance Minister between 1969 and 1971. 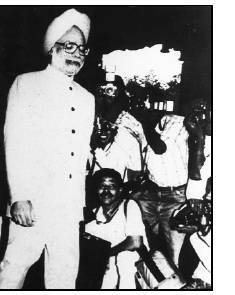 The most historic budget without any doubt was that of Dr Singh’s in June, 1991, when he formally initiated the process of economic liberalization. Apart from him, in more than two decades since 1991, four other Finance Ministers have presented Union Budget – Jaswant Singh, Yashwant Sinha, Pranab Mukherjee and P Chidambaram, who will be presenting this year’s budget too. Chidambaram, like the first Finance Minister Chetty, belongs to the small Nattukottai Chettiar caste, known for their business acumen in Tamil Nadu and across South East Asia. James Wilson, liberal economist and political thinker, is known to posterity more as a founder of Standard Chartered Bank and also, of one of the world’s most influential publications, The Economist. It was in 2007 that a tax official, C P Bhatia, researching on India’s tax history, re-discovered Wilson’s grave in Calcutta’s Mullick Bazaar Cemetery. His grave may remain neglected even today but come the budget day, it would be Chidambaram’s pronouncements on income tax that you and me would wait most eagerly.